I started thinking about this post three weeks ago as I was departing Hobart, but now I’m back, enjoying the 32 degree heat of Santiago Chile and realising that 90% of my backpack is now useless fill. However, much so easier to pack for heat than cold for Peru. The small ship of 48 passengers and nearly as many staff set sail from Ushuaia in the very south of Argentina. After a ‘reasonable’ 2 days across stormy Drake passage, we saw our first iceberg and entered the South Shetland Islands. Whilst we were still a long way north of the Antarctic circle, this area is a wonderful compromise with all the features and less sea travel. 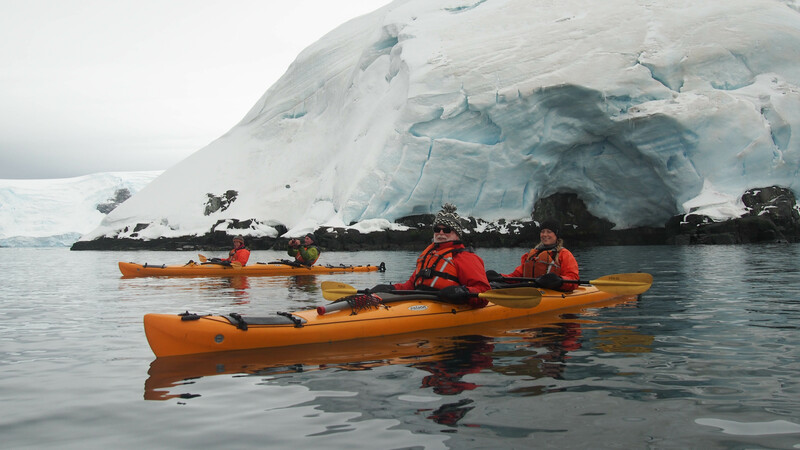 I was taking the sea kayaking option and the first thing we saw on our paddle was a leopard seal ripping a penguin apart, followed shortly after by one passing just under the kayak. Our plan was to transit to the East and enter the Weddell Sea, where Shackleton was trapped. In fact the name of the voyage was “Shackleton’s footsteps” and it was to track his movement through Weddell Sea and then to Elephant Island and then to South Georgia, finally finishing in the Falklands. 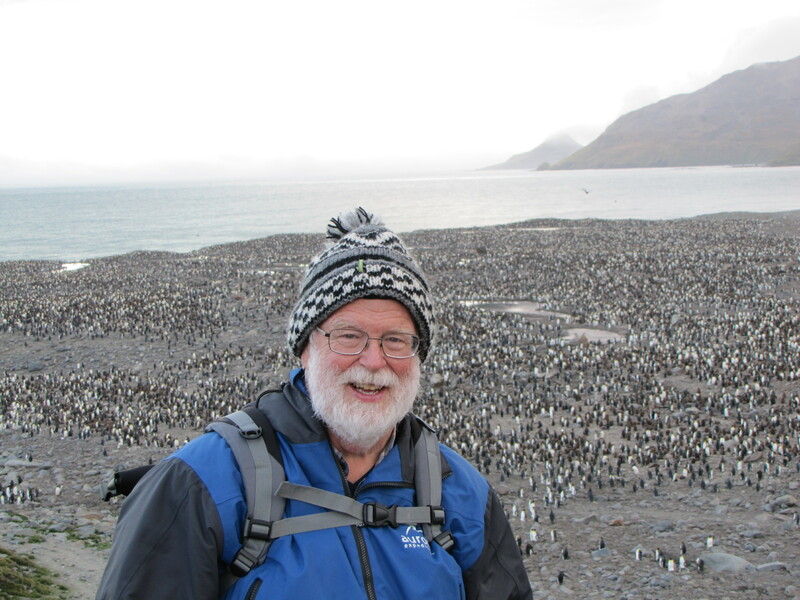 In fact, the ice was too difficult to penetrate and so we spent the first week in the area of Antarctic Sound (Google Maps) and islands in the southern Bransfield Strait. The Russian crew and staff were great, and the Australian expedition staff filled each day with landings and lectures. We settled into some reasonably challenging kayaking, and there were a group of climbers who were getting some practice before the main game for them which was to a recreation of Shackletonís crossing of South Georgia. Then it was time for an attempt at landing on Elephant Island, the home for most of Shackletonís crew whilst he went with a few others in a converted whaleboat across 800 nautical miles to South Georgia for help. True to its reputation we had a close but very foggy look at the shingle beach of Point Wild, but a landing was out of the question. Two days sailing across the Scotia Sea was filled with lectures and some recurrent nausea until we arrived at South Georgia. The weather was dreadful and the ship was repositioned many times but this was definitely the highlight with massive penguin rookeries, thousands of baby fur seals, all of whom were like little puppies, barking and playing but when you looked at them would suddenly stop and look very coy: “Who me ?” with rugged coast, glaciers and snow capped peaks behind. Suddenly the 3 weeks were up and we were flying back from the Falklands. It was the best trip!